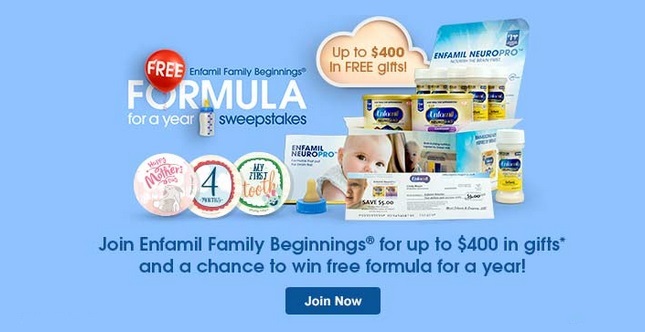 Get $400 in FREE Gifts, Coupons, Samples and More from Enfamil! 1-Get FREE Coupons sent right to your inbox or mail! Special gifts sent to you during pregnancy, including a feeding guide and more. You can expect to receive Belly Badge stickers in the mail right after you. Don't Miss out why not join for free and get all these free offers or if you know a friend or family member expecting soon this would be a great offer to share with them.